Today, the President declared the opioid crisis a public health emergency. There has been a lot of discussion about this in the previous few weeks about whether declaring the opioid epidemic a national emergency or a public health emergency was appropriate. There has also been some argument whether this will be effective. Either way, this is and has been a serious issue for a long time and it is finally getting some national attention. Melania Trump started the briefing with addiction stories and spoke about de-stigmatising drug addiction. She talked about how anyone from any walk of life can suffer from addiction and how widespread this issue really is. The First Lady also talked about addiction as a disease and gave hope for recovery. President Trump began by acknowledging the many families that have lost a loved one stating that 7 people died every hour from an overdose. He called this the biggest crisis of its kind in world history. The President continued with staggering statistics about opioids, before declaring this epidemic a national health emergency. The President said, " We can be the generation that ends the opioid crisis." Mr. Trump spoke about an advertising campaign to encourage abstinence saying, "really tough, really big, really great advertising." Since we don't know what, "really tough, really big, really great advertising" looks like, to clarify the President insightfully added, "This was an idea that I had, where if we can teach young people not to take drugs, it's really, really easy not to take them." This is the first time an addiction issue has ever been given this type of attention nationally. There is a good possibility that this by itself will not do very much, but it will give advocates more leverage with policy makers as this issue is being taken seriously at a national level. 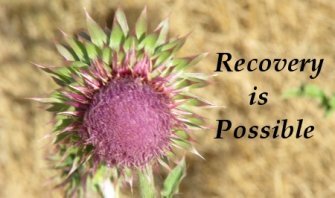 It may not be enough, but it is progress, and provides great visibility for the addiction treatment industry. From my experience there's no better treatment for Substance Use Disorders then your desire to stop. There's all sorts of treatment available and the opioid crisis has escalated. No matter what pathway you take, eventually you'll have to stop. Treatment is a great tool for harm reduction. But it's not a 100% guarantee that you'll never use again. There are two 100% guarantees 1) death, that's an extreme. 2) abstinence. Educate the substance user on the strengths they already are using. Like volunteering to enter a treatment program. If it was any outside entities controlling their decisions to use or not, how did they get up enough strength to get into treatment? It takes a lot of courage to break a cycle of lifestyle that you're so accustom of living. That's strength. 1)You realize there's a problem. 2) you separate yourself from it. Now that you know you have control, do you want to continue using or not?